The North Carolina Arboretum is a beautiful botanic garden in the Southern Appalachian Mountains that is home to several of the botanically-diverse plants in the region. Tucked away in the Bent Creek Experimental Forest, just south of Asheville, the 434-acre public garden features lovingly cultivated gardens, exquisitely manicured landscapes and winding walking trails that are intersected by thick woodlands, shady coves and winding streams. Established as an affiliate of the University of North Carolina by the State General Assembly in 1986, the gardens were designed by world-renowned landscape architect Frederick Law Olmsted, “the Father of American Landscape Architecture” and brainchild behind New York’s Central Park and the gardens at the Vanderbilt’s Biltmore Estate. Today, the North Carolina Arboretum attracts thousands of visitors every year to enjoy its magnificent surroundings and cultivated gardens and to connect with nature in unique and unforgettable ways. The Arboretum features over 60 acres of manicured gardens, including the award-winning Bonsai Exhibition Garden and the National Native Azalea Collection; over 10 miles of meandering hiking and mountain biking trails in and around the park for all levels of fitness; and a variety of family-friendly activities and adventures, including self-guided tours, exhibitions, geocaching, and an EcoLab featuring live reptiles. Established in 2005, the Arboretum’s Bonsai Exhibition Garden is a world-renowned bonsai garden that features more than 50 miniature specimens, including traditional Asian bonsai trees such as Chinese elm and Japanese maple, as well as bougainvillea and willow-leaf fig, limber pine and bald cypress. Notable garden exhibits include the Forest Meadow, a collection of flora with a particular emphasis on autumn foliage color, and the Holly Garden, which displays a variety of plants from the holly genus. The old stone foundations, chimneys and tinkling water springs of the Heritage Garden recall features of old homestead sites, while the garden includes traditional and unusual herbs used for medicinal purposes. The Quilt Garden is an exquisite representation of a traditional quilt pattern created from flowering plants flowers, which visitors can enjoy from an elevated stone overlook and the Stream Garden features mostly native plants that live alongside mountain streams. Other cultivated areas of interest include the full sun Perennial Border at the Greenhouse, the Plant Professional Landscape Garden, the National Native Azalea Collection, and the Sustainable Landscape Demonstration. The North Carolina Arboretum hosts several rotating exhibitions throughout the year, including informative and inspiring exhibits focused on arts, culture, education, and science. Based in the Baker Exhibit Center, rotating exhibits highlight the area’s rich cultural heritage and provide interactive and enriching educational experiences for all ages and interests. Exhibits feature works by both regional artists and craftsmen, as well as local and international artists. The Arboretum offers a wide variety of events throughout the year for the public and member of the Arboretum, ranging from special lectures and presentations to youth programs, plant shows, and artist demonstrations. 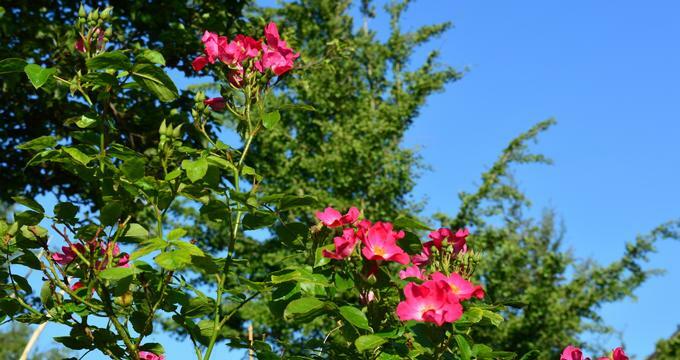 The North Carolina Arboretum offers an array of educational programs and learning experiences for all ages from children to adults across a variety of areas, from art and science to environmental sustainability and economic development. These programs range from adult education classes and lectures to formal classes, informal workshops, conferences, and self-guided programs, and serve more than 24,000 guests every year. Youth and Family Programs are education-based programs that inspire adventure, exploration and environmental awareness and aim at having fun outdoors while learning about the diversity and beauty of nature. Discovery Camp is a popular, fun-filled week for children of all ages that aims to encourage exploration and discovery in the natural world, create a sense of adventure in the great outdoors, and promote environmental awareness, and conservation of both fauna and flora. The North Carolina Arboretum boasts one of the one of the most picturesque locations in the country for special occasions such as weddings, celebrations or business meetings. The Arboretum features a variety of indoor and outdoor facilities that are suitable for functions of varying sizes and styles, including cocktail parties, ceremonies, receptions and more. Functions held in the gardens follow environmentally conscious initiatives and couples or parties have to follow green initiative guidelines for the occasion. The Arboretum is home to a charming onsite café offers welcome refreshments and light meals and a small gift shop that sells an eclectic collection of flora-based items, including paintings and sculptures by local and international artists, arts, crafts, glasswork, and jewelry.